WordPress is an incredibly intuitive tool and this really is one of its biggest strengths. This is a blogging platform that anyone can get to grips with and that lets you create new content, edit existing posts and more with just a few clicks. But with so much power under the hood, it’s still going to be easy for new users to miss some of the more advanced features that WordPress has to offer and this can end up preventing you from getting the very most from it. 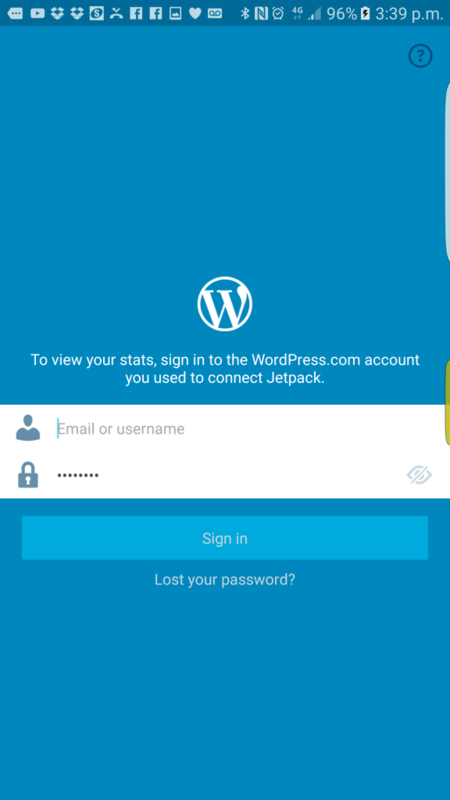 Did you know that there’s a WordPress app available for both iOS and Android? What’s more is that it also just so happens to be really useful. Using the WordPress app, you can do most of the basic site maintenance and updating that you would do from the main control panel. That includes being able to write new posts, edit existing posts and even do things like checking your stats and changing basic settings. This isn’t quite as good as the real thing but it’s the closest there is! What’s more is that you can always get yourself a Bluetooth keyboard (and mouse if you’re on Android) and that way you have a great little mobile command station. 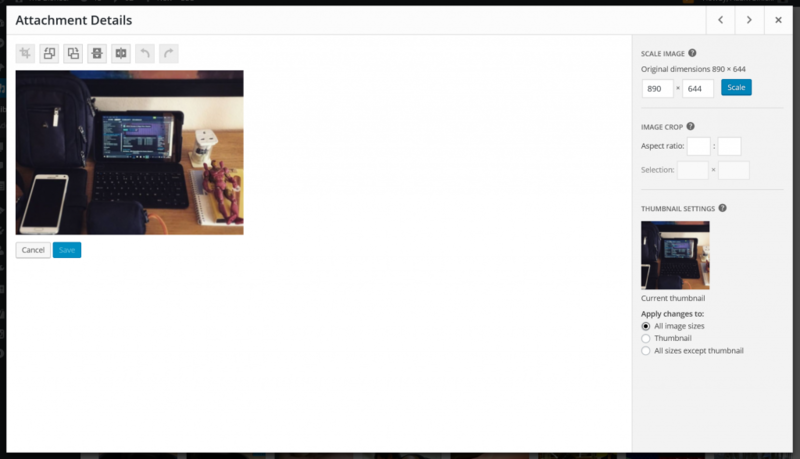 Oh and it’s also very handy for quickly uploading photos – all you need to do is take a photo on your Android device and then hit ‘share’ and you can add it to a post! Being able to snap a photo on your camera and then instantly upload it to your WordPress site is an incredibly useful ability that will save you a lot of time and give you a lot more flexibility in terms of where and how you work. But you can take this further if you’re willing to set up a few additional tools to work with. For example, why not try the excellent IFTTT.com? 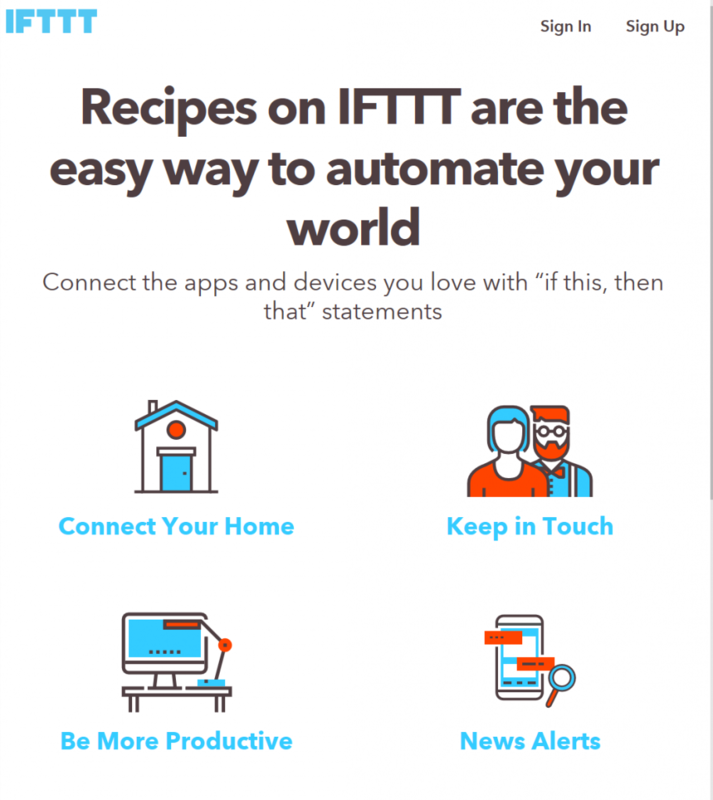 IFTTT stands for ‘If This, Then That’ and basically allows you to create interactions (called ‘recipes’ to use the site’s own parlance) between different services. At a most basic level, this means you can create a relationship so that every time you post something to Facebook, it will also get posted to your WordPress account – or vice versa. What if you don’t want your main page to be the first page everyone sees? What if you’re selling a product and you’d like that first page to be your sales page for instance? Now publish the page and then head over to Settings > Reading in the admin panel. 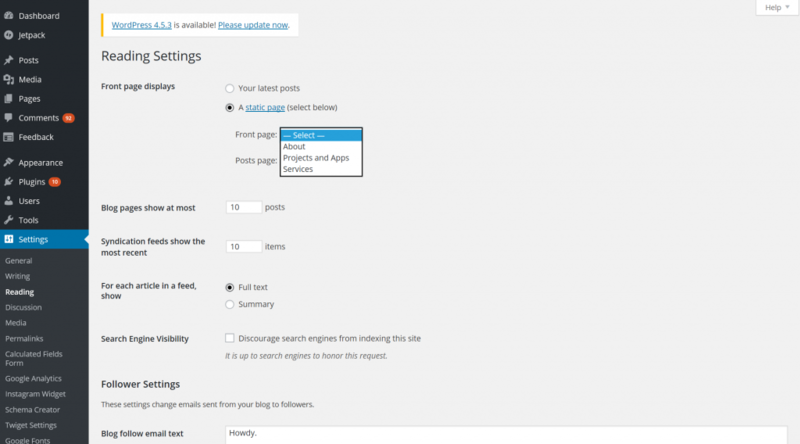 Here you’ll find the option to choose your front page and your posts page – and you can use the one you just built! You can also skip the step with the code but it’s recommended that you go through it. If you’ve taken a picture for a post or a page and you don’t like how it looks, then you can simply go into your gallery and change it – to some degree. Once you’ve uploaded the image, just go to Media > Library. You’ll now be able to open up that image and manipulate it by clicking the ‘Edit’ button underneath. This gives you the option to change the aspect ratio, to flip or rotate the image or to scale it. What’s more is that you can apply these changes only to the thumbnail if you so wish. This is very useful if you want to make the thumbnails appear a little smaller or a little larger on your homepage before the user clicks on them to go to the full post. Creating a page that shows random posts instead of just your very latest posts is a good way to help people discover your old content. Once you’ve done this, you’ll now be able to show custom content through that page. Note though that the easier way to do this is simply to install a new plugin. And in fact, most of the things you can do to make your site more customized or to change the way it performs can be done simply by installing new plugins. This is the brilliant thing about WordPress, so make sure you’re getting the most from it and not spending all your time doing things manually that could be handled by a ready-made tool! But that said, let’s make this our final tip: don’t add too many plugins or use too many customizations. This can actually end up slowing your site down and even create security problems. Have a vision for how you want your site to look and behave and then take the necessary steps to accomplish that quickly and efficiently.